IMA RBB Floatation Vest Fingers crossed it will save my life! For a long time now I have thought to myself fishing low water marks a long way out is seriously dangerous and I have pondered many ideas such as keeping an inflatable rubber ring with me incase I get injured/stuck but when I sat down and thought about it, my ideas never added up. 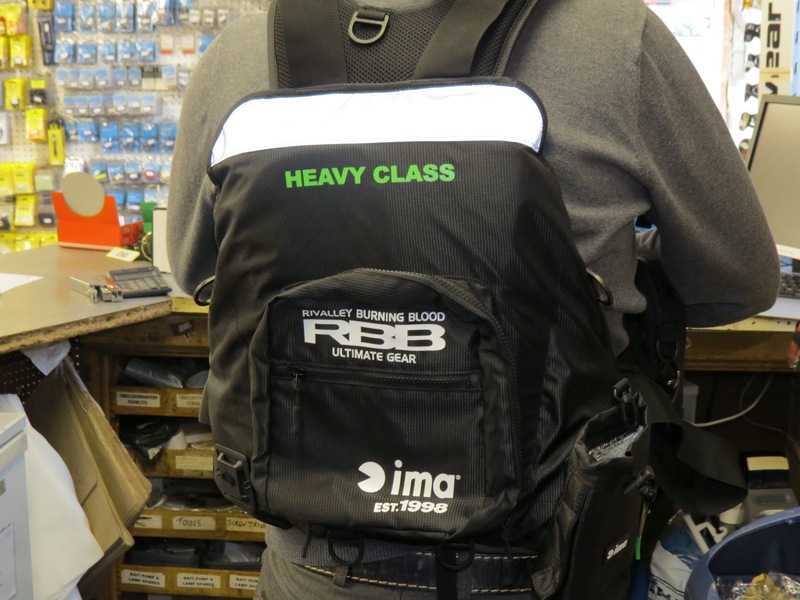 Finally I stumbled accross the IMA RBB Flotation vest and got one on order straight away. After about a week of waiting the vest has turned up and I am very impressed. The vest is basically a Buoyancy aid which has been specifically designed for the mobile Lure angler. The actual design of it it brilliant. There is minimal matarial around the shoulder areas allowing for complete movement and no hinderance when casting. 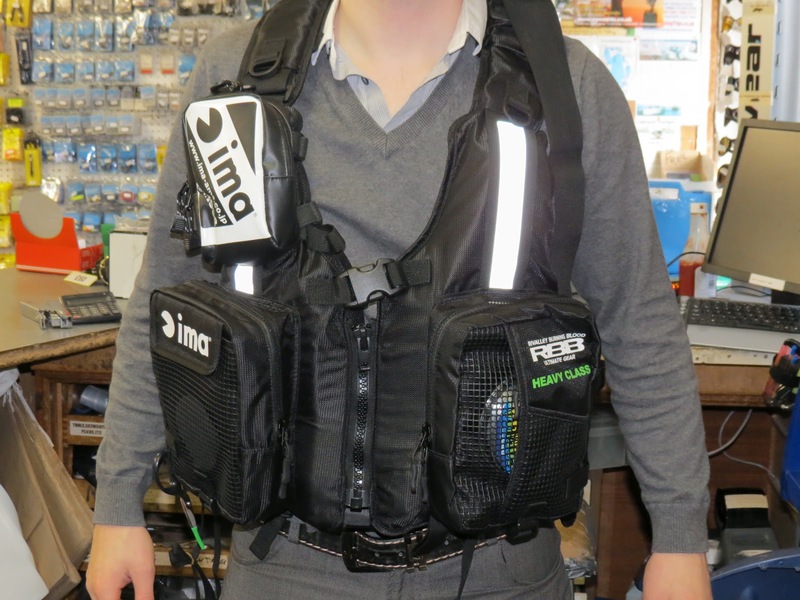 The vest is fully adjustable around the waist and shoulders and is fitted with a heavy duty zip and clip so you can take it on and off quickly. The main pockets on the front of the vest will fit a Snowbee Lure box in each. Both pockets also contain front pouches for your snoods or any slightly larger items. It has a fully waterproof top pocket for your Phone and keys and a large pocket on the back for larger items or your lunch. It also has additional plier pocket and thinsulated bottle pouch. 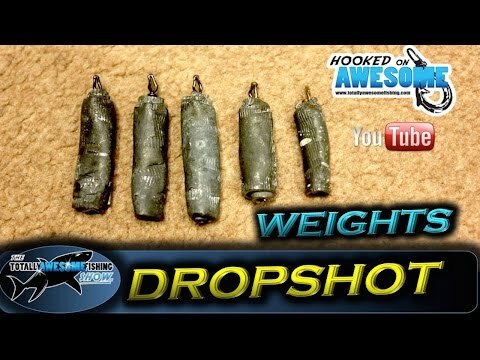 All in all this item, in my eyes is essential for any angler who is adventuring to more dangerous areas. At first it sounds a little expensive at full retail (£239.99) but if it works once and saves your life its worth it. If anyone wants one I can order them in within a week. Please call me on 01524 428043.